One of West Virginia’s first public institutions of higher education, Marshall University was founded as Marshall Academy in 1837 and named after Chief Justice of the Supreme Court John Marshall (1755-1835). Here, you’ll discover a commitment to teaching, high-level research and professional training that prepare you to thrive in the world. You’ll join a community where you’re part of something larger than your own ambitions. You’ll find a sense of belonging and nurturance that will help you achieve your full potential. 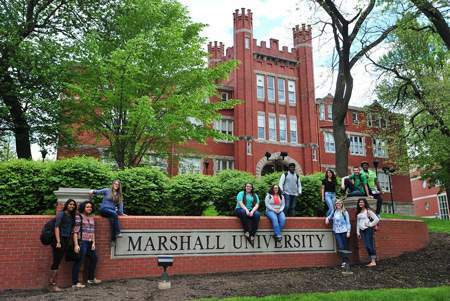 You’ll discover what it means to be one of the Sons and Daughters of Marshall.